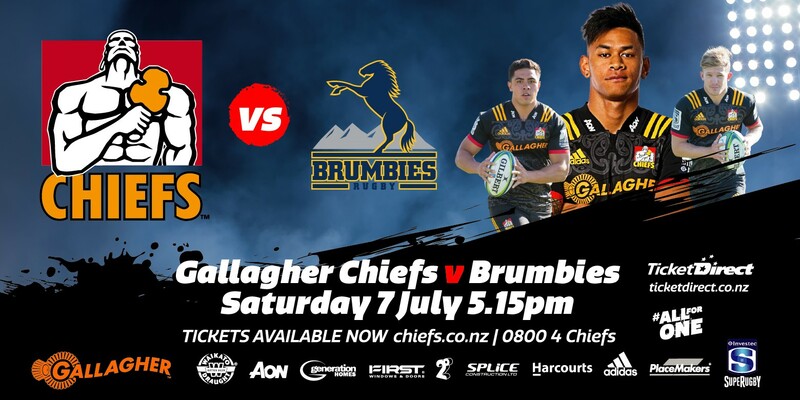 The Gallagher Chiefs look forward to hosting the Brumbies in an early kickoff at 5.15pm. Perfect for the kids, get the family down and enjoy a night of Investec Super Rugby action. The Chiefs are looking to finish their season strongly, and look forward to having your immense support. Purchase your tickets, right here, now! Important notice: The authorised ticket seller for this event is Ticket Direct. When purchasing tickets please ensure you are doing so via Ticket Direct only. FMG Stadium Waikato has no obligation to honour tickets purchased via unauthorised re-sellers. For more information on ticket resale sites and the impact on consumers, view the Consumer NZ Report here.